House music may be undergoing something of a renaissance of late, but in Miami, it never left. Here is a city which positively reverberates to a straight-up 4/4 beat; a city which gets down and dirty on the dancefloor like few others in contemporary America. One such label which gives us a fitting snapshot into the city’s modern soundscape is Vicey Loops, an imprint that owes a debt of gratitude to the forefathers of house, but still maintains its own carefully crafted, refined agenda. Sure, this might be the first time we’ve gotten down with this recently formed label, but on this early showing, it sure won’t be the last. What’s more, this is a dizzyingly diverse affair too. Lefty Gunz’s ”7014” is testament to this fact, with its meandering synths the sort of stuff Kool & The Gang would be demonstrating where they making house music in this day and age. 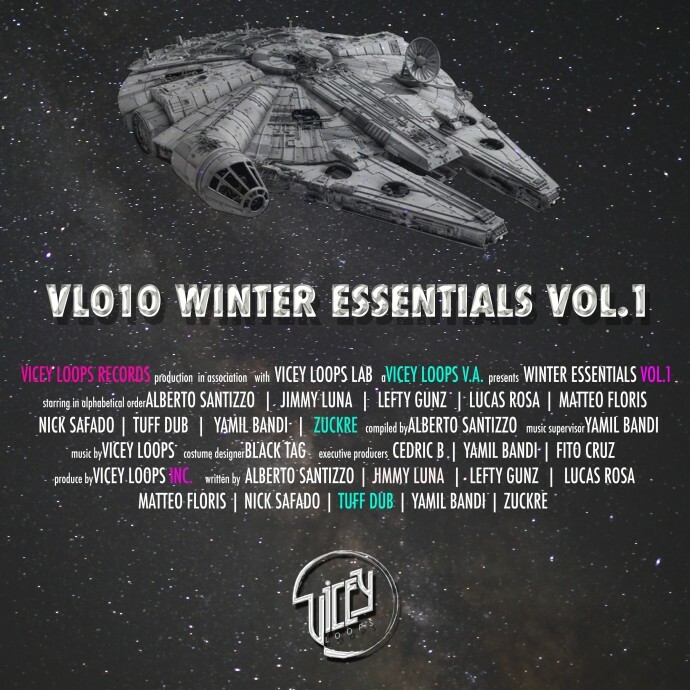 Suffice to say, then, it’s undoubtedly funky, and despite being first up, it’s also one of the finest such offerings that Winter Essentials Volume 1 has in its locker. There are numerous other tracks to play with and while some are fine DJ tools, there’s also a showing of tracks here with fine musical musings; Yamil Bandi’s ”Beats of Love” being just one fine example. The album might be at its most electrifying when such tracks enter the fray, but lets not forget about the more ‘floor driven numbers. There are a handful of these included, but our ears have led us to plump for Matteo Floris, whose ”Flip Da Trip” wonderfully melds firestarting beats with a party-starting yet rambunctious vibe. Hats off to Mr.Floris for a job expertly executed here. There are tech-house tunes apparent also, although thankfully they don’t lean towards generic pastures. Alberto Santizzo’s ”Looking for Something” will give you an indication of what I mean, but really, the latter half of the release is dominated by distinguished, reputable and refined house fare. Zuckre’s ”The Missing Story” brings us on a sojourn to the cosmos that’s littered with sci-fi ramblings, Jimmy Luna’s ”U Move” maintains a playful but forceful agenda and Soul Clap influences abound on the curtain-closer, Nick Safado’s well-primed and polished ”What’s Up”. An eclectic series of discerning numbers – and you can’t ask for much more than that. Jammy’s Jaunts: 14.12 – 15.12 – Plex Christmas Bash and Cartulis Day Presents Save You Records.